The last few months I’ve been fairly flat out concentrating on Sound Designing Frantic Assembly’s The Unreturning with Director Neil Bettles Directing a completely awesome company in one of the most collaborative processes I’ve been involved in for some time, it was such a delight to be part of and I felt very lucky to be involved. This was a bit of a dream working process for me, being in the rehearsal room from day one (for 3 out of 4 weeks of rehearsals) and being part of the creation process even before that with Neil, Andrzej Goulding (Set and Video Designer), Zoe Spurr (Lighting Designer) and Lily Arnold (Costume Designer) and the rest of the team, it’s exactly how I love to work. 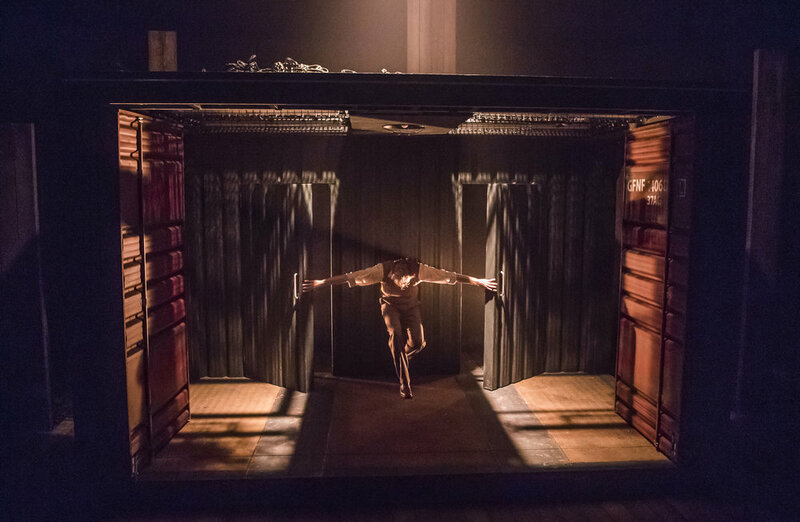 The show opened in Plymouth on Monday 24th September and will be on tour around the UK, you can find the dates on Frantic’s website here, and info on the whole team there too. 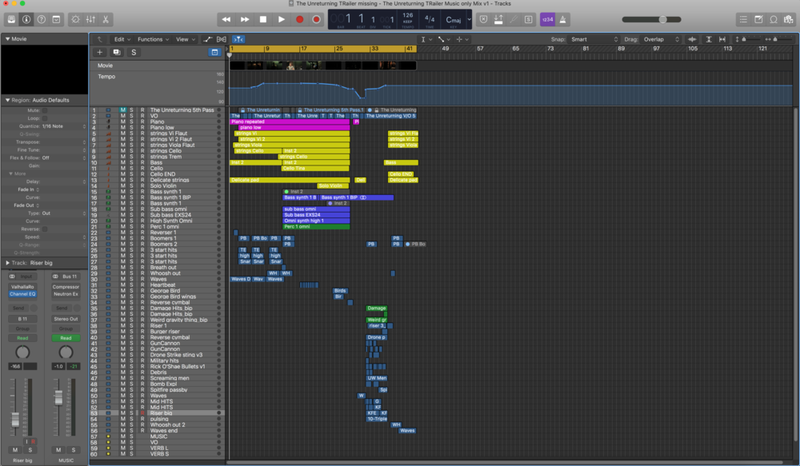 I’m half way through writing up a bit of a series about the equipment and processes I use for workshops, rehearsals and how I use Ableton and QLAB in those situations. I used a similar set up in rehearsals for The Unreturning and eventually programmed everything into QLAB, but will wait to go into detail about that until I’ve finished. There was a lot of content to create for the show, we recorded the excellent actors for some part of the Sound Design too, and worked with a bunch of different music tracks. It was an extremely good example of how to integrate Spotify into the process, as I suggested in a previous post, it can be such a useful way of collaborating and evolving a musical palette. Our playlist started with Anna Jordan (Writer), who added some tracks as she wrote the piece, which allowed us into her world and how she was feeling about the piece. Then Neil added as he read the and I joined, threw in my own thoughts and we all continued to add to the playlist even up to the final days of previews, it was part of my job to then expand on this and integrate some of the musical palette into the show. I like to be part of the rehearsal process early on as I enjoy working with everyone in the rehearsal room and allowing the whole team to influence parts of my Sound Design process, and I hope the Sound Design can influence decisions in other departments too, its fair to say it’s not always possible to be around full time, but it’s always super interesting to see what inspiring ideas come out of that collaboration. Jon Hopkins singularity album out last month has some awesome work on it, check it out on here. The NY times interviewed the Sound Designers nominated for the newly re-instated Sound Design Tony Award, they all provided some excellent SFX and montages of their shows. I worked as Associate on both Harry Potter and the Cursed Child with Gareth Fry and 1984 with Tom Gibbons, Both are incredibly deserving of the nomination. Last week I was at Shoreditch Town Hall with ‘Frogman’ a play I first worked on with Curious Directive last year which took me to Australia for 3 weeks of on site recording for a 360 film that becomes part of a live theatre show. 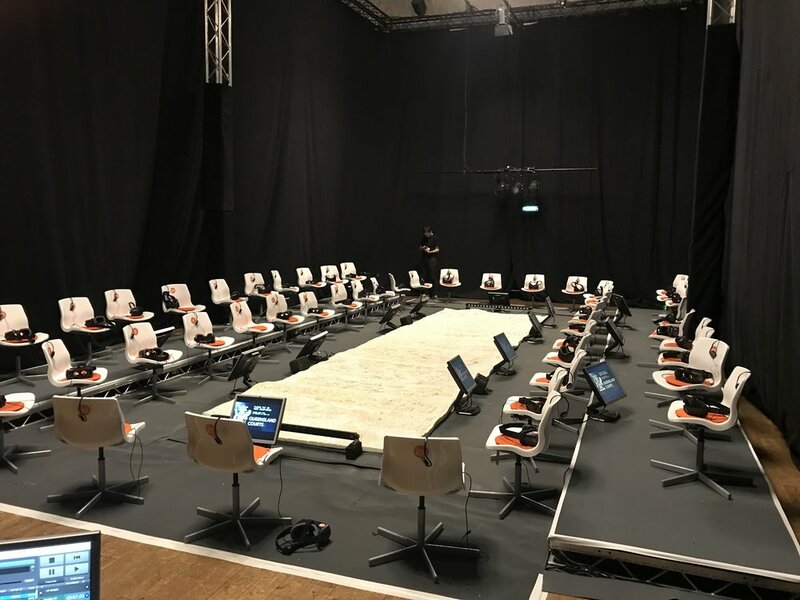 It’s been an incredible learning curve for me to work with VR content, not only that but being able to support 50 audience members having an individual auditory experience whilst also collectively allowing them the experience the live theatre piece. There are huge hurdles to overcome and still some more to work on as the show progresses, but as an experiment within multi disciplinary theatre its been a super interesting challenge and well worth a watch/listen, especially if you’re interested in VR. I’ll be posting a little more about the process soon, a few photos and trailer below! Spotify has to be one of my most used pieces of software outside of DAWs and show control. When I was younger I'd buy music in the forms of Tapes and CDs and of course before that it was in all sorts of formats, but over last 20 years we've moved through a world of evolving music services with speed. The internet being a huge game changer in that, and through it came the iTunes Store, Youtube, Amazon music etc and on 7 October 2008 Spotify was released. I began using Spotify around the time I was studying Theatre Sound in London 2009. Suddenly I had this incredible repository of music at my fingertips for £5 per month (as a student at least, now we’re talking £9.99, still amazing). On my laptop, phone, anywhere... I began using it as a music research tool and for personal listening, slowly it became a way of testing out ideas in rehearsal rooms due to the sheer amount of music on there and the speed with which you can search through it. Around the time I graduated, I began using it as tool to broaden my musical interests, I’m sure like many others, I can easily end up listening to the same tracks and artists over and over. That's not such a bad thing, but there is so much more available and I wanted to make use of that... Whilst on tour in April 2013 I started making a new playlist each month with a mixture of music I already liked and artists I’d never listened to before, kind of like the ‘discovery weekly’ playlist feature, but more towards albums than single tracks. I'd gather them either from friend's recommendations or maybe just random genres I didn’t know much about. Jump 5 years into the future and I have monthly playlist for almost every month since then. Spotify recently started sending out this neat year in review post to see your listening habits each year. Listening to the monthly playlists gave me a memory of where I've listened to certain styles or artists. I’ve found myself remembering listening to a track on a bus in Leicester Square when it was raining, cold and it was kind of wintertime a couple of years ago, maybe 2015... so I can jump back through my playlists and pretty quickly find the track or artist. I've found it pretty useful as an alternative way of retaining information. 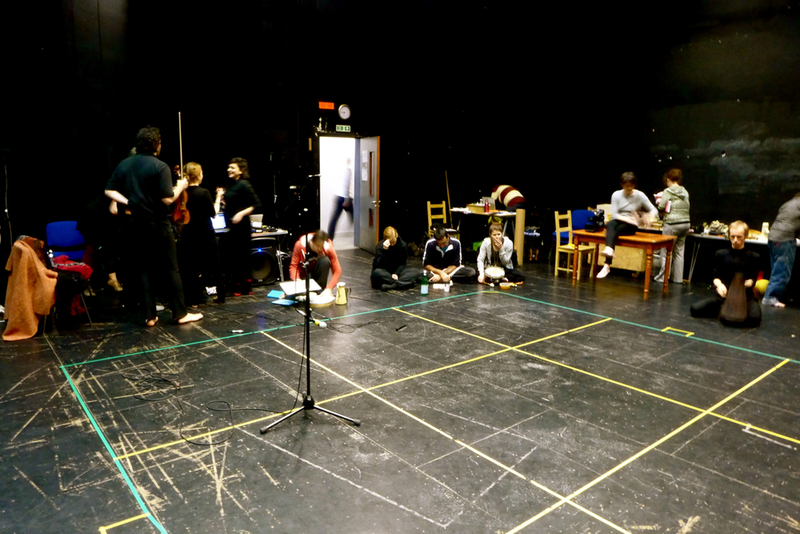 Back in the rehearsal room I tend to build a playlist for each show I design, sometimes with the Director or Movement Director in a collaborative playlist to give us a place to start thinking about and gathering the musical ideas that could be interesting to try. Which can mean anything from music of the time that a play is set, to music that gives some emotional response to the initial stimulus and ideas. Having said all this, there is so much value in finding music in less obvious places too, I’ve found cds in museums that I would never be able to find on Spotify and the same with Ebay, libraries, charity shops, so it’s always worth keeping an eye out of the box to find something unique and not to be too reliant on online options! I thought I'd share a few random tracks from the last couple of months which I have particular memories for. I'd love to know how anyone else goes about there daily listening and how using subscription services is changing the way we work in Theatre. I'm sure there are libraries digitised from CD's, Vinyl collections, itunes store downloads etc all used in different ways. Theres a lot to say about the future of music services for both composers and listeners, there will undoubtedly be changes coming within the next few years and intiatives like Imogen Heap's Mycelia is one of them, check it out. It's such a big subject abd worthy of its own blog post later! In other news, thanks to the brilliant Vlogs of Christian Henson at Spitfire Audio, I've been playing with the Elgato Streamdeck (A nifty keystroke based shortcut device) and as I'm travelling a lot at the moment, the Arturia KeyStep (32 key small keyboard controller/step sequencer), so will do a bit of a run down of those two soon. Next week I'm hoping to head to a Sound Art exhibition called Sonic Arcade at the Museum of Art and Design here in New York and I'll share some thoughts if I make it! Adam Savage. Editor of Audio Media International Magazine wrote to ask a few questions on my work on The Encounter with Gareth Fry, as well as about the challenges we faced on Harry Potter and the Cursed Child, and asked me to talk a little about the industry as a whole. I felt privileged to be included in the May/June 2017 edition of Audio Media International. Thanks to Adam for getting in touch! This week I've been working on two Complicité pieces. One is 'Beware of Pity' at the Barbican Theatre, we made the show over a year ago in Berlin at the Schaubühne Theatre with 7 of their ensemble of actors and it's in London this week. Check it out if you can, it's been a pleasure working with the amazingly talented Schaubühne actors who really are what make the show. During April of this year, I worked with Helen Chadwick and Steven Hoggett on a project Helen has composed called 'War Correspondents'. 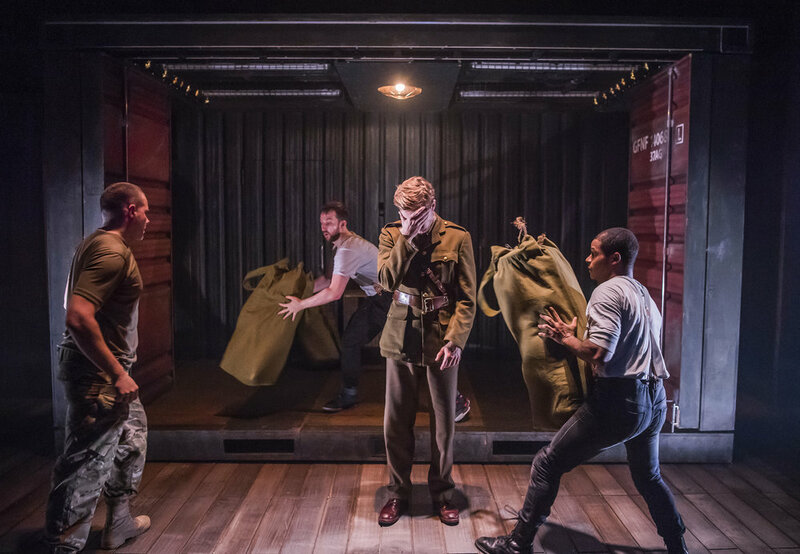 A sung theatre piece about the lives and experiences of War Correspondents over recent years. The lyrics of the sung music were taken from interviews with War Correspondents talking about situations of conflict they had covered and their thoughts on 'War Journalism'. From a sound perspective there is a lot of interesting material to play with from the original interviews as well as finding the best way to integrate the voices of the interviews into the music and between songs. We also worked with Sound effects with specific pitches hidden as an extra layer so the singers could catch a pitch to work with for the next song they are heading into. Movement is such a big part of the show alongside the music that I decided to bring a Leap Motion device into rehearsals to play with. Using the LEAP with a piece of software called GECO, it allows the user to manipulate effects and trigger cues using the movement of your hands, In our case pushing downwards towards the device triggers a filter effect which is dialed up and down depending on the height of the singers hand, when it is lower it allows a recorded musical Drone through, but when its higher we hear a helicopter and no drone, the singer has direct control over this mix during the scene and uses it as an instrument to accompany his song. The show initially toured around the UK in spring this year, but will also now be playing in London in October with a few dates around the UK after that. 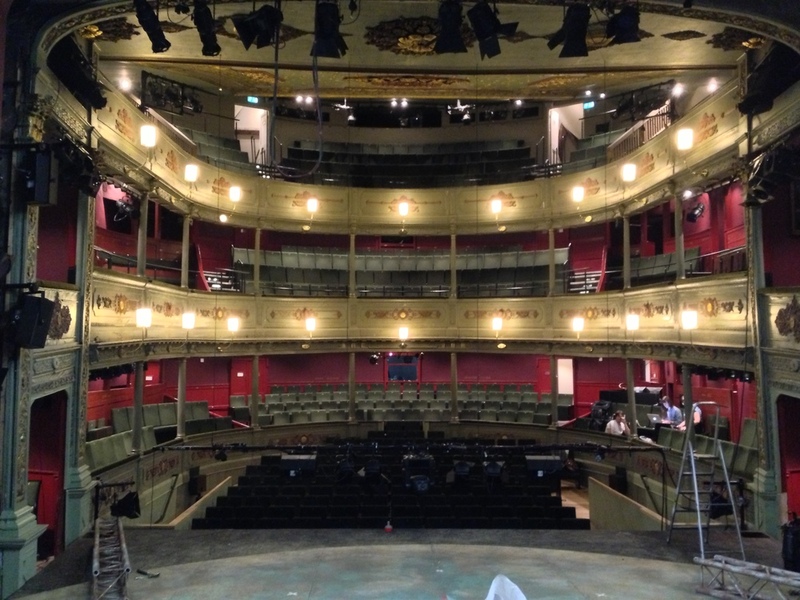 This week I've been teching Unlimited Theatre's The Noise in Newcastle's Northern Stage (Stage 2). The story is a "sci-conspiracy thriller", and on the island of Whitley the most notable feature is the constant 'Noise' being emitted by the island. Working as Co-Sound Designer with Gareth Fry, we've been playing with different types of Noise and how much of it we can push the scenes by using different styles of 'Noise'. 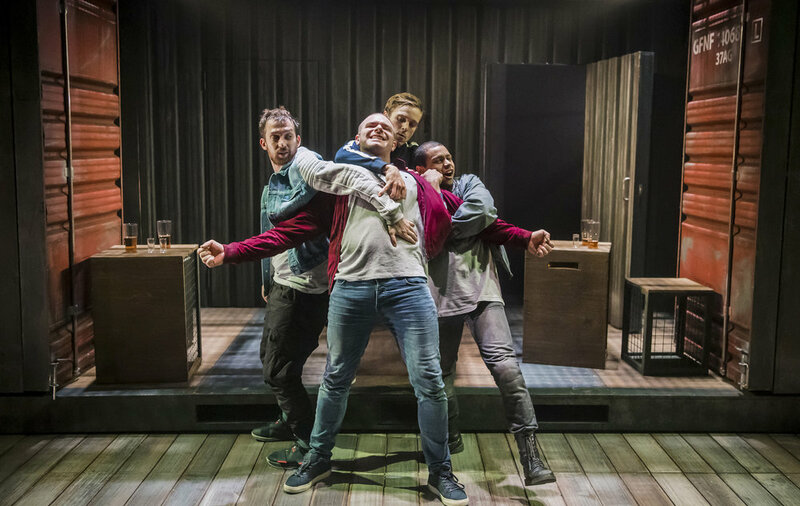 There is real anger in the characters of Whitley caused by these relentless and ever changing sounds they can't get away from and it's been really interesting in finding how to achieve this whilst still allowing the clarity of the story to come from the actors. There is also composition by David Edwards (AKA Minotaur Shock) which has been a pleasure to work into the show and if you get a chance check him out! The Noise opened here in Newcastle on Friday 4th Oct and runs until 12th October. It then tours to Warwick Arts Centre and West Yorkshire Playhouse in November. 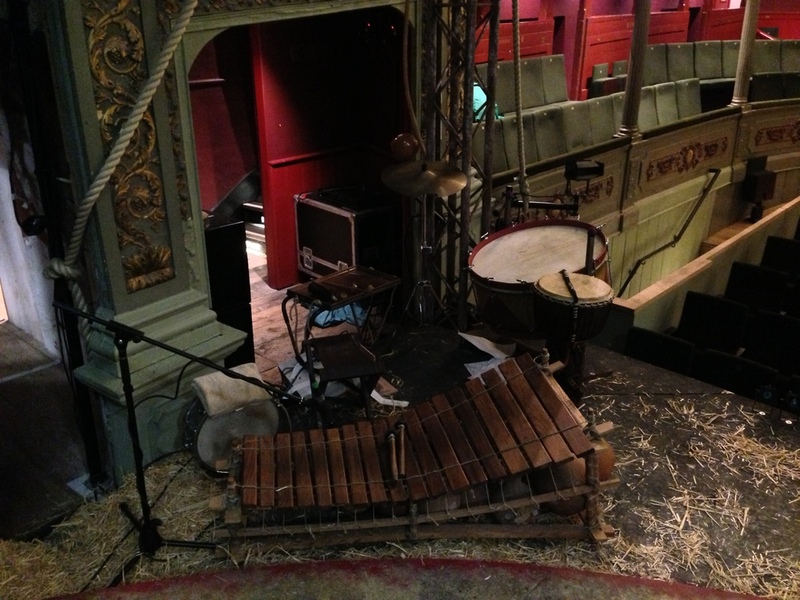 A few weeks ago it was Lionboy's final week playing at the Unicorn Theatre in London. After 8 weeks on tour it all ended with a great last week of performances in London and it was nice to be back in the city! Being on tour has been an amazing experience with a lovely team and cast it was a great place to get the experience of attempting to produce same show in very different venues. Listening to different house systems and how they were set up for each venue was really interesting. The unicorn perhaps one of the more fiddly setups with it's curved auditorium and not a lot of space for front of house positions. Luckily this was one of the venues on the list with a centre cluster in it's FOH setup which helped a lot in separating voice-overs and music for intelligibility purposes. The hardest thing to judge from venue to venue was the mix between our live Percussionist (Stephen Hiscock) and the playback music, along with the Voice-overs on top of all that. Making sure the narrative was clear whilst keeping the drums and music at a level that drove the scene on was always a difficult one to achieve, each venue reacted differently to the drum kit particularly, Wales for instance had a stage about 4 times higher and wider than the Unicorn, pretty cave-like in its acoustics, but again was an interesting challenge. I've been working as Associate Sound with Tom Gibbons as Sound Designer, and i'll be operating the show for the rest of the tour. The show, so far, has been well received and we had a lot of fun finally getting it onto the stage in-front of an great audience. From a sound perspective the the story is illustrated using sound effects and music that reacts to the particular form of storytelling that has been conceived for this show. One of the interesting parts for me is having a live percussionist (Stephen Hiscock) on stage, jumping from a full drum kit to traditional Ghanaian instruments, to provide underscore and musical accompaniment to the action on stage. 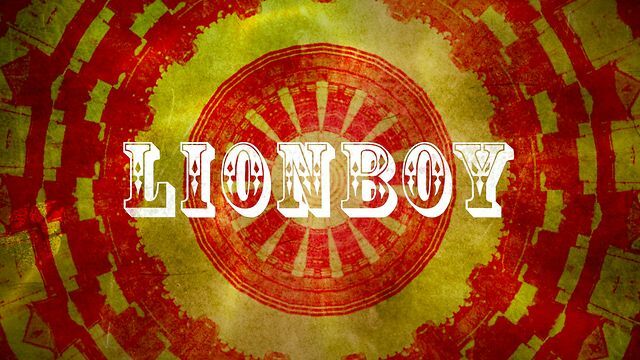 Lionboy will be touring around the UK, and the next stop is the Liverpool Playhouse for a week (week commencing 3rd June), followed by Oxford Playhouse, Warwick Arts Centre, West Yorkshire Playhouse, Wales Millenium Centre and ending with a 2 week run at the Unicorn Theatre in London.